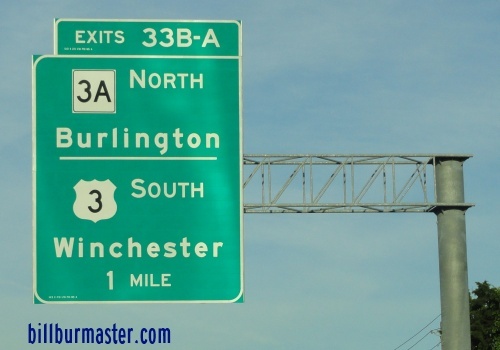 U.S. Federal Route 3 runs north-south in Northeastern Massachusetts. It only runs in Middlesex County while in the commonwealth. This runs from the New Hampshire/Massachusetts to Cambridge. U.S. Rt. 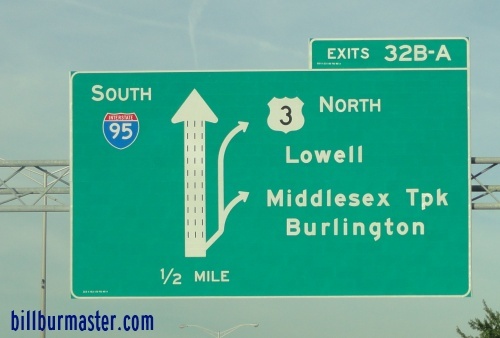 3 passes through the following towns in Middlesex County. U.S. Rt. 3 is multi-plexed in Middlesex County. Massachusetts State Route 2A, from Arlington to Cambridge. Massachusetts State Route 60, at Arlington. Massachusetts State Route 2, at Cambridge. U.S. Rt. 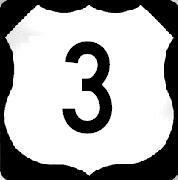 3 intersects the following highways in Middlesex County. Massachusetts State Route 113, near Tyngsboro. Massachusetts State Route 40, near North Chelmsford. Massachusetts State Route 4, near West Chelmsford. Massachusetts State Route 110, near Lowell. Massachusetts State Route 129, near River Pines. Massachusetts State Route 62, near Bedford. 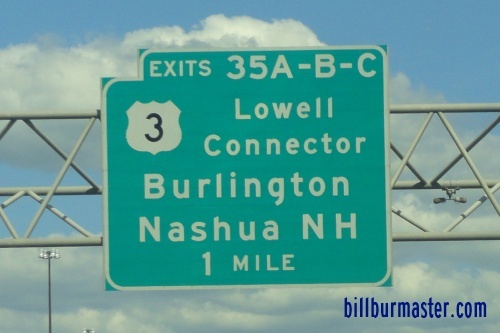 Massachusetts State Route 3A, at Woburn. Massachusetts State Route 2A, at Arlington. Massachusetts State Route 2A, at Cambridge. 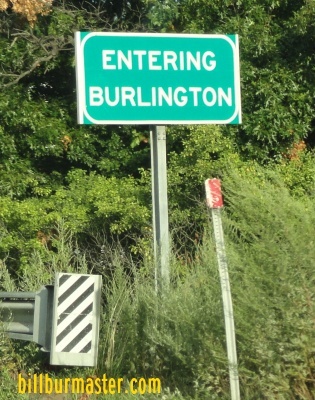 Massachusetts State Route 16, at Arlington. Massachusetts State Route 3, at Cambridge. 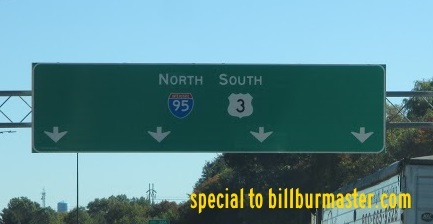 A BGS on SB I-95/WB MA St Rt 128.